Problems with the most expensive weapons project in Pentagon history, the $400 billion and counting F-35 jet have forced a reshuffle at Lockheed Martin. The US aircraft designer named Jeff Babione the new executive vice president and general manager of the F-35 Program, succeeding Lorraine Martin. Despite vast spending that has made the F-35 jet the most expensive piece of military hardware ever created, the program seems to have had several setbacks. “The stealth fighter lacks the sensors, weapons and speed that allow a warplane to reliably detect and shoot down other planes in combat. Especially when those planes are shooting back,” said a review from military website War is Boring. “The F-35 can see great. It just can’t see all that great in the air. At least not compared to modern Chinese- and Russian-made jets — the planes the F-35 is most likely to face in battle in some future war,” it added. According to the US Department of Defense, the program’s office wasn’t accurately recording the jet’s problems. “Not all failures are counted in the calculation of mean flight hours between reliability events, but all flight hours are counted, and hence component and aircraft reliability are reported higher than if all of the failures were counted,” the Fiscal Times quoted the report. 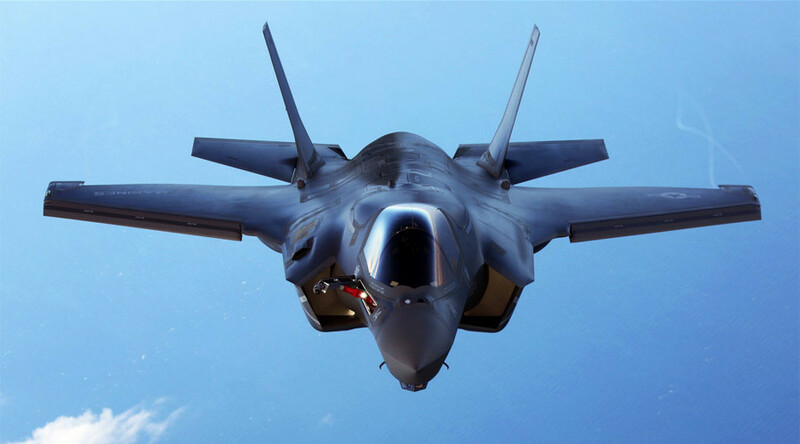 The F-35 is a US fifth generation multirole combat aircraft designed to perform ground attack, aerial reconnaissance, and air defense missions. The program was launched in 2006 but has experienced a number of cost overruns and developmental delays due to concerns over performance and safety.